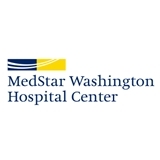 MedStar Washington Hosp Ctr Gen Medicine Practice (Washington) - Book Appointment Online! Excellent care, excellent service. However, I feel I have questions that go unanswered or explained in detail for me.